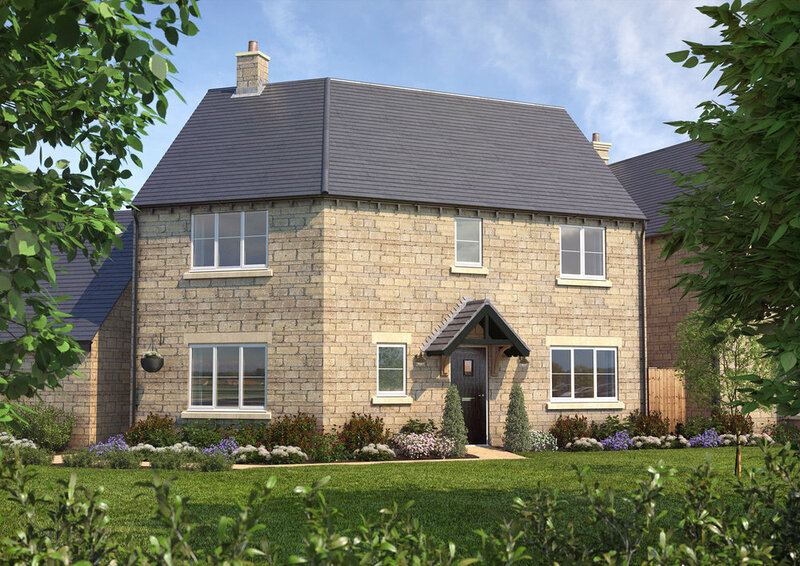 At Hayfield Homes, we understand that the smallest things can make the biggest difference, which is why our 2, 3, 4 & 5 bedroom new homes at Hayfields have been created by experts with an extraordinary eye for detail. We are proud of the unique touches and high specification we include as standard. 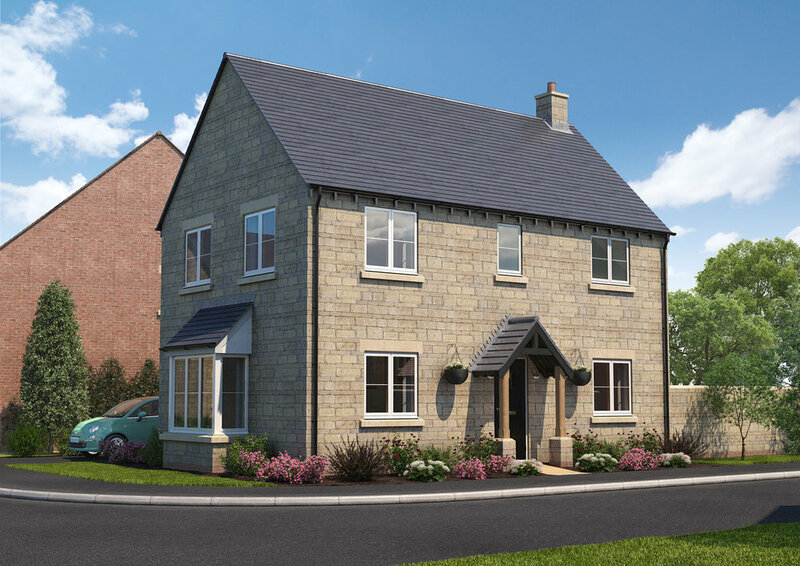 We have fitted each home at Hayfields with exciting interiors that make the most of light and space, highlighting elegant designs and enticing layouts. The kitchens and utility rooms are equipped with a range of tall wall and floor cabinets from Manor Interiors complemented with glazed wall units or dresser style unit where a breakfast bar is fitted. Laminate worktops to The Hornton, Hawford and Chacombe and Quartz worktops to The Warmington, Shotteswell, Cropredy and The Eaton. An excellent range of colours and handles will be available to customise your property (subject to build stage). Fully integrated luxury Bosch appliances to The Hornton, Hawford, Warmington, Chacombe, Shotteswell and The Cropredy, to include multi-functional single oven, induction hob, dishwasher and fridge freezer. A separate integrated washer dryer will be fitted where a utility is not available. Fully integrated luxury Siemens appliances to The Eaton, to include a coffee machine, two single ovens, microwave, two fridge freezers, hot tap and wine cooler. The Warmington, Shotteswell and the Cropredy will be fitted with an additional oven with microwave function, warming drawer, wine cooler and hot tap. The Hornton, Hawford and The Chacombe will be fitted with a glass splash back behind the hob. The Warmington, Shotteswell, Cropredy and The Eaton will be fitted with a Quartz splash back which compliments the worktop. The Hornton, Hawford and The Chacombe will be fitted with a laminate worktop in utilities. The Warmington, Shotteswell, Cropredy and The Eaton will be fitted with a Quartz worktop in utilities. Minoli floor tiles to the kitchen / dining, utility, cloakroom, hall and store under stairs. Bi-fold doors to the kitchen / family / garden room fitted to The Warmington, Shotteswell, Cropredy and The Eaton. Conventional radiators will be provided to ground and first floor to The Hornton, Hawford and The Chacombe. Underfloor heating to ground floor and conventional radiators to first floor will be provided to The Warmington, Shotteswell, Cropredy and The Eaton. Chrome Towel Rail in cloakrooms of The Hornton, Hawford and The Chacombe. Contemporary white ROCA bathroom suites with chrome fittings to The Hornton, Hawford and The Chacombe. Contemporary white Laufen bathroom suites with chrome fittings to The Warmington, Shotteswell, Cropredy and The Eaton. Heated chrome towel rail provided to bathroom and en-suites. Electric underfloor heating in bathrooms and en-suites in The Eaton. Minoli wall and floor tiles to the bathroom and en-suites. A mixture of wall mounted mirrored vanity units to bathroom and master en-suite (please refer to specific home type for style of furniture). Chrome electrical accessories to all ground floor rooms and white electrical accessories to first floor rooms. Edwardian matt bronze electrical accessories to hall, stairs and landing. White downlights to kitchen, dining, sitting room, hall, bathroom and en-suites and pendant lighting to remaining rooms. Fires and surrounds will be installed to The Warmington, Shotteswell, Cropredy and The Eaton. Hammonds wardrobes to the master bedroom and bedroom 2 in The Warmington, Shotteswell, Cropredy and The Eaton and the master bedroom only in The Hornton, Hawford and The Chacombe. Each wardrobe will offer excellent storage with mirrors fitted to each hinged door. Glazed internal doors to ground floor rooms where applicable. Heritage matt bronze ironmongery and hinges. Farrow & Ball paint to woodwork in hall, stairs and landing. Electrically operated garage doors to The Warmington, Shotteswell, Cropredy and The Eaton.